Connect Balance Grow combines Kinesiology & Reiki to create a non-invasive, gentle yet powerful method of healing. The complementary therapy of Kinesiology taps into the body’s subconscious through the technique of muscle testing while Reiki, the Universal Life Energy enhances the natural healing abilities of the body & promotes wellbeing. My mission is to connect with & hold space for the client to choose their own healing adventure by identifying outcomes that best serve them to balance their body, emotions, mind & spirit to facilitate growth through the release of stress patterns to achieve their set goals. We each have the ability to heal the aches, pains, stress, doubts & anxiety that occur in our everyday lives. Kinesiology allows us to choose the best way to heal our body. Our subconscious remembers & stores everything even when we can’t or don’t. By using muscle testing (a technique of applying gentle pressure on certain muscles to look for feedback) we can ask the body what the stress is in relation to a goal or outcome & how to correct it. Channeling Reiki as part of my balances helps you to relax, feel at peace & secure while promoting wellbeing. Reiki also aids Kinesiology & other treatments to relieve side effects & assist recovery. I look forward to working with you so that you can be the best you can be. 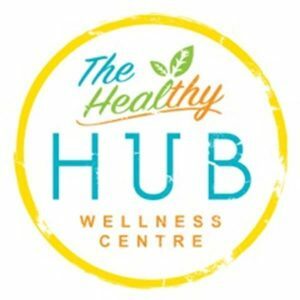 The Healthy Hub is your hub for all things HEALTH. A place to heal, rest and rejuvenate. All in the one central location our clients can enjoy an organic café and bar, an organic grocer, and an allied health wellness centre. Come and visit us today and let us show you how to live a happier, healthier life. Friday and Saturday late night trade and Sunday trade Coming soon!